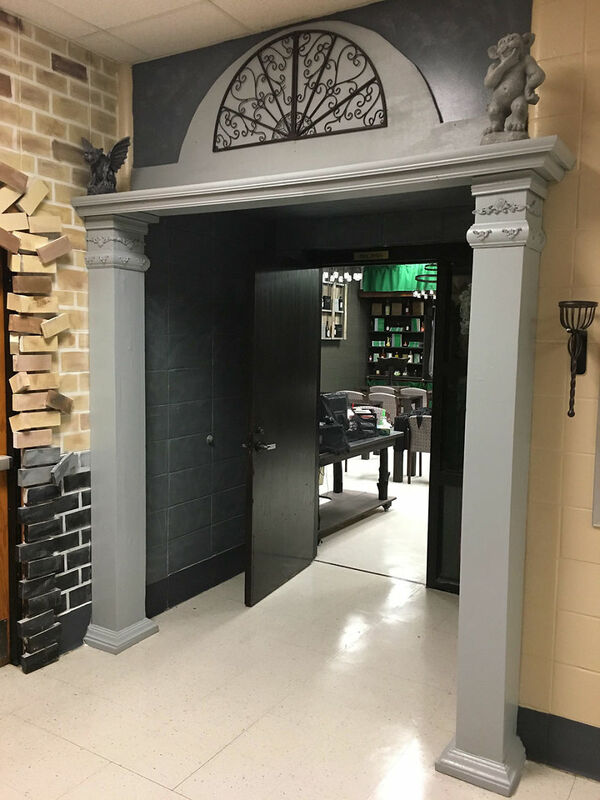 Last year, my coworker and I at Parkside School decided to try theming our classrooms like Hogwarts houses from the Harry Potter series. It went over so well with our students that we decided to take it a step further this year and theme our whole hallway. 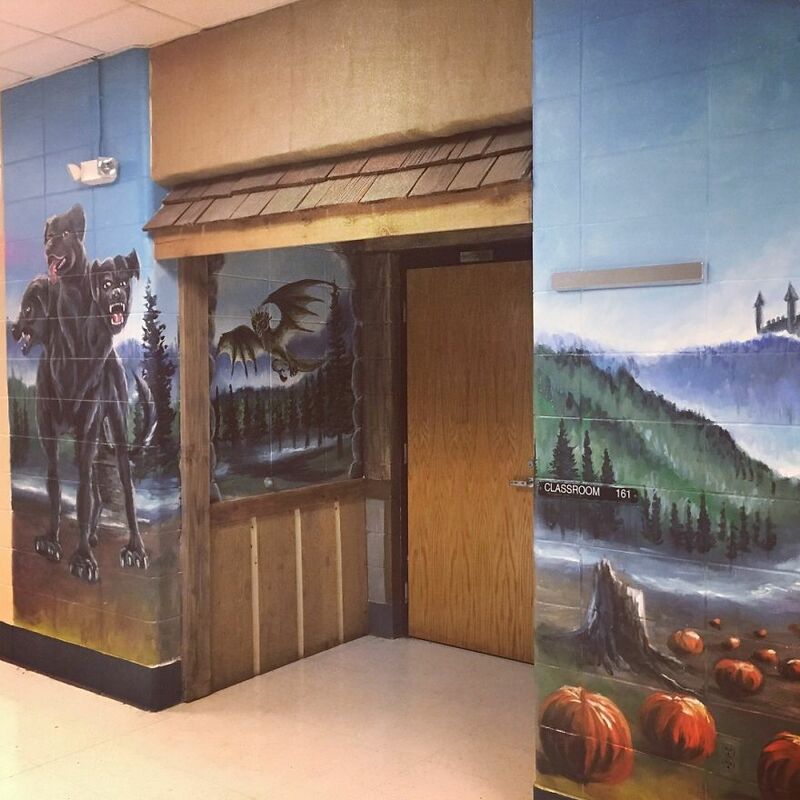 We hired a local artist to paint murals and added three-dimensional elements to give our students a totally immersive experience. 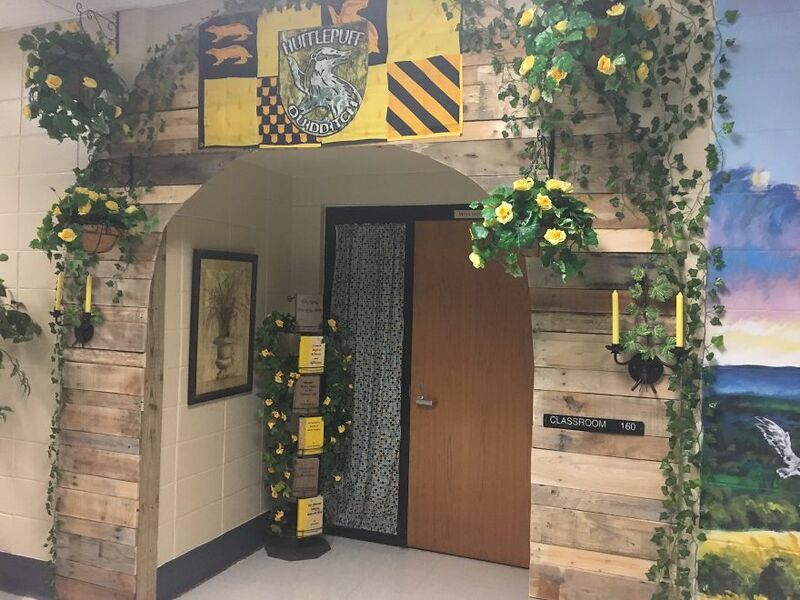 We now have transformed our entire 7th and 8th grade hallway so that our students will feel like they are walking the halls of Hogwarts. Other than the murals, the transformation has been done by the two of us with inexpensive materials and donated items. Since transforming the rooms last year, we have had a huge decrease in student discipline referrals and an increased interest among our middle school students in reading and discussing books. Parkside is a K-8th grade school in rural Cullman County, Alabama. It is a title one school in an economically depressed area. The project was done completely with funds raised by our 5K race and out of teachers’ own pockets. I have no idea how many hours we have spent on it-definitely in the hundreds by now! Our principal has been very supportive of our ideas and allowing us to do this project. 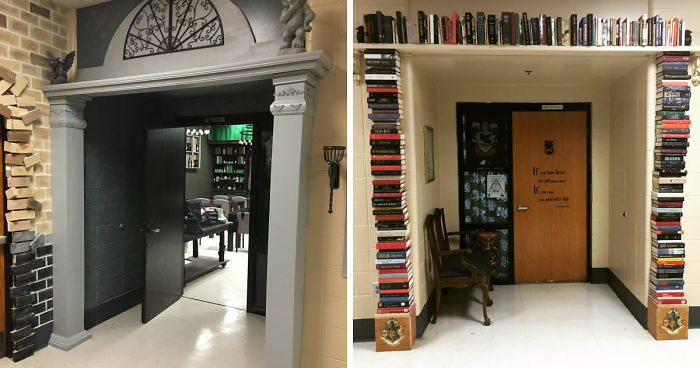 These teachers turned their boring school hallway into Hogwarts! Middle school English teacher and all-around nerd. My hobbies include forgetting where I put my phone and making sure my students know the difference between your and you're. 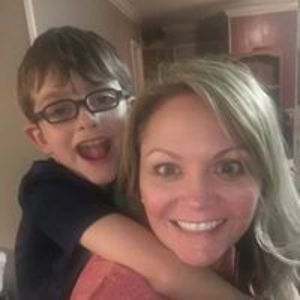 I have two children I personally gave birth to and hundreds more who are "my kids." Education is for sure more interesting with this project, and you did a good job! Wow Vonskippy needs a hug stat! How are they morons because they tried to do something great for their students? 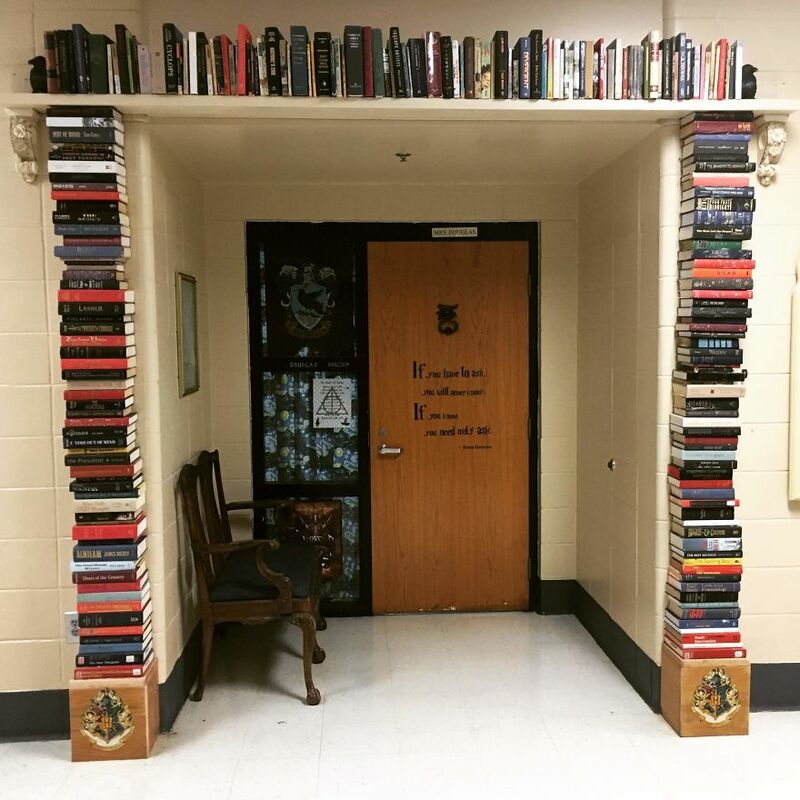 I'm not even a harry potter fanatic and I love this idea. And you should check your facts because every store I've ever been in has Harry Potter birthday stuff. You need a xanax and a hug.